Online interaction for any number of reasons has changed over the years. People now look for more and more information online. People research and find their jobs, pay bills, shop online, look for homes, friends and even life partners over the internet. Hence, in this interconnected world, it has almost become a necessity to have a web presence for any business. By having a Website running for a business 24/7, it can present its potential customers with all the information required and thus making it more likely for them to purchase the product or opt for that service. The corporate competition nowadays has made it essential for any business to improve and enhance its global presence. Studies have shown that while a highly technical website generates user traffic, a good website increases its conversion. In this context, web design is one of the most fundamental factors and it needs thorough research and consideration. Thus, a website design requirement necessitates professional suggestions from competent and creative web designers. Various methods are used to combine colors, create and join words, experiment with fonts and graphics to get a business message to the potential customers. This to some extent helps in conversion of the site visitors into potential customers. Important as it is, a web design is also complicated in its own sphere. There are two plans of action for getting a website design; one is custom website design and the other is ready made website template. In this article we aim to focus on the approach towards choosing the right Website Template for a business website. A website template is a tool that separates content from the presentation. It can be defined as a pre-designed customizable webpage. They may be self contained downloadable pages or part of a web builder interface. 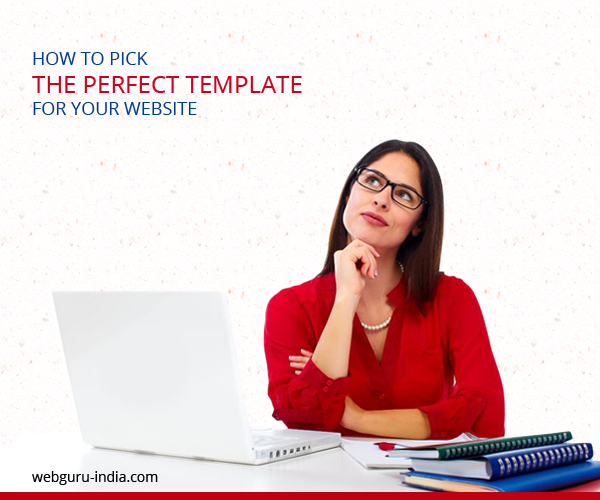 A website template helps a user to insert the contents and design a website without needing to create webpages from scratch. It is built with HTML and CSS Codes. Now the current standard is HTML5 and CSS3. Now that we understand the concept of a Website Template, let us enlist the facts to be considered before choosing a template for a particular business. Every website has its own context. An E-Commerce website emphasizes its products, a corporate website radiates trust and power. A social website features network while a kid’s website illustrates fun and happiness. No matter how attractive a template may look, it will not get the intended importance if it mismatches the business process. The template layout will be responsible for structuring the information of the website. Hence a template must be chosen as per the requirement and that which requires very little changes to be made. Many templates may look very attractive but may not map to the business information display sequence. Such websites should be avoided as they will not be too productive in the long run. The template should not be based on personal preference. An effective template selection should be based on the preferences of the future users. A website template is not changed often. Hence, a customizable template is recommended. This allows for future extension of the features with less or no additional investments. Customization may range from font, color, menu to multimedia and animations. However it should be ensured that the website template supports customizations up to the required degree. Too less with limit functionality and too much will make the system complicated. Even the best templates may have errors in them. Hence, the credibility of the seller should always be verified. Regardless how simple the template may be, customer support should always be ensured. This will be helpful for urgent trouble shoots. A template is only a small part of a bigger picture. It is very important to ensure the usability of the website along with its professional aesthetics. The design should be good and the navigation should be easy. Also the template must be displayed with equal uniformity across all browsers. In the age of mobiles and smart phones, responsive designs should be preferred. Website templates should be created by both designers and the programmers. This will ensure its front end usability and back-end customization. The best template will be the one that will maintain the best balance between design and the features required. Thanks for sharing the info. Responsive and mobile website templates are very much in demand these days.